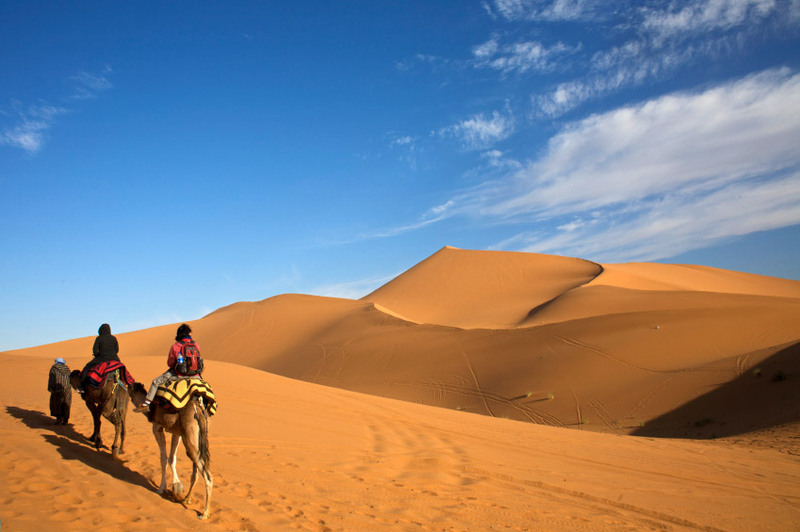 “Ourass Travels” in Morocco organize private tours from Marrakech to visit Sahara desert. Our private driver “Ourass Travels - private tours in Morocco” will pick you from your hotel and we start 5 day tour to Merzouga crossing the mountains in Tizi-n-Tichka pass. We will explore “Ait Benhaddou” -UNESCO World Heritage Site in guided tour. 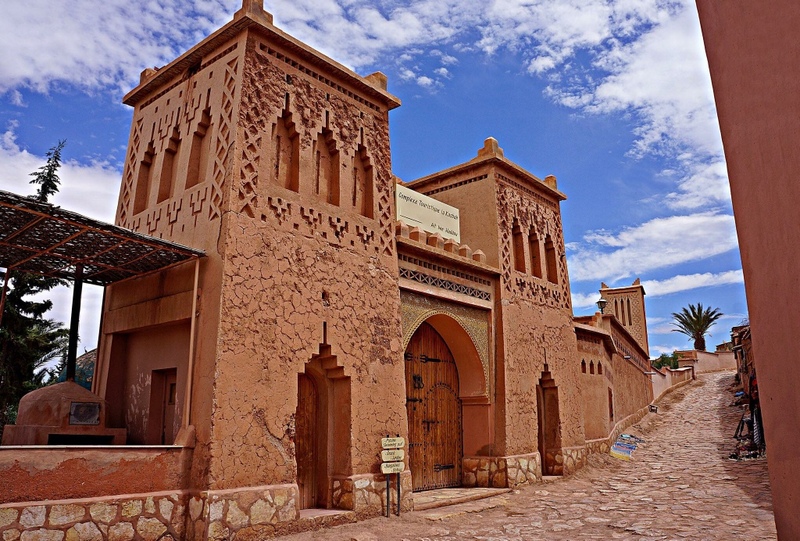 We continue to Ouarzazate , Skoura, valley of Roses and we finish our day in Dades valley where we will have dinner in local riad and we stay here overnight. Today you continue our desert Marrakech tour. After breakfast we pass Berber villages on the way to Todra Gorges , where you walk in narrow canyon , famous for rock-hikers. You continue towards Rissani passing Ziz valley and Erfoud, famous for its fossil products. We reach Merzouga desert in the evening where we stay in local desert hotel with dinner. You explore Merzouga desert and village of Khamlia, famous for musicians - originally from Sudan and Mali. You will have lunch with local Berber family living in desert. We visit Rissani lcoal souk and then we enjoy camel ride in Sahara desert. You will watch sahara sunset and we spend a night in desert camp. 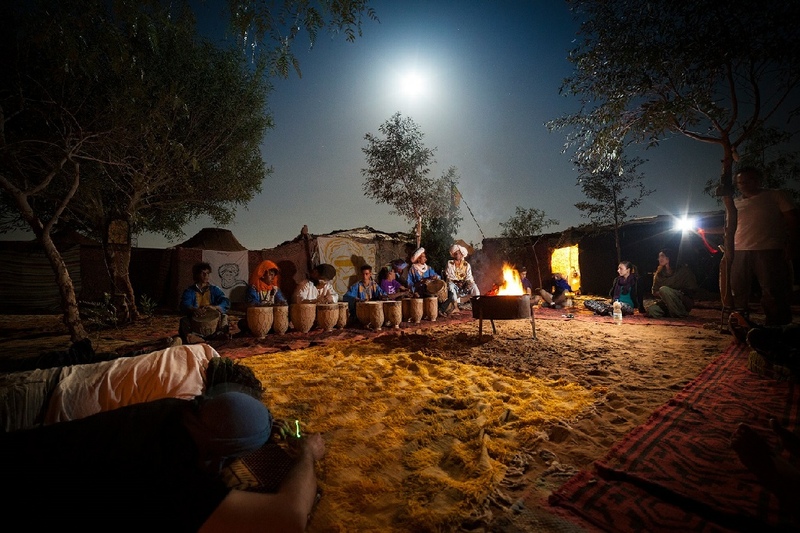 You will have Berber dinner , we listen to drum music and we stay overnight in Merzouga tents in Sahara. The Marrakech guided tour continues towards Ouarzazate. We ride camels back from Merzouga camp to village and after breakfast we drive to Agdz , we pass Draa valley and we stay overnight in Ouarzazatte. Here we explore local movie studio . Dinner and breakfast included. 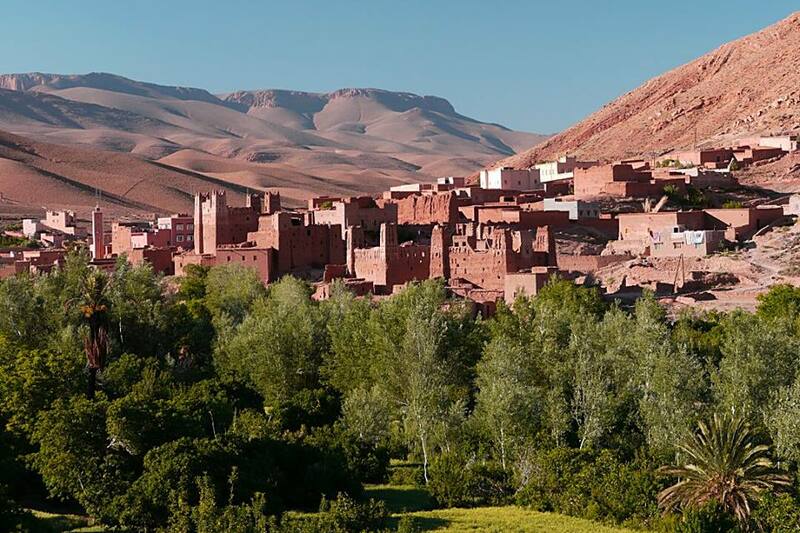 Today you will visit Kasbah of Taourirte in Ouarzazate and then we continue crossing High Atlas mountains to Marrakech. Ourass Travels can manage for you any day trips and excursion in Marrakech during your stay. Contact us anytime. Explore Morocco in guided Marrakech tour and you visit Unesco kasbah of Ait Benhaddou , Ouarzazatte and Dades gorges. You will enjoy hiking in Todra gorges and we spend a night in Sahara camp.